As a young backpacker, I first fell in love with the picturesque village of Rothenburg, in Germany's Franconian heartland. At that time, the town still fed a few farm animals within its medieval walls. Today its barns are hotels, its livestock are tourists, and Rothenburg is well on its way to becoming a medieval theme park. 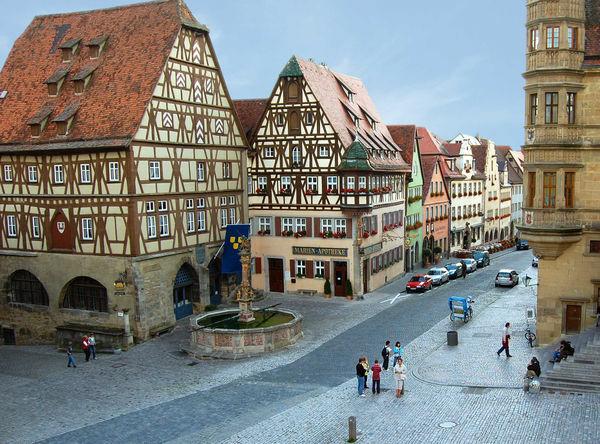 But Rothenburg is still Germany's best-preserved walled town. 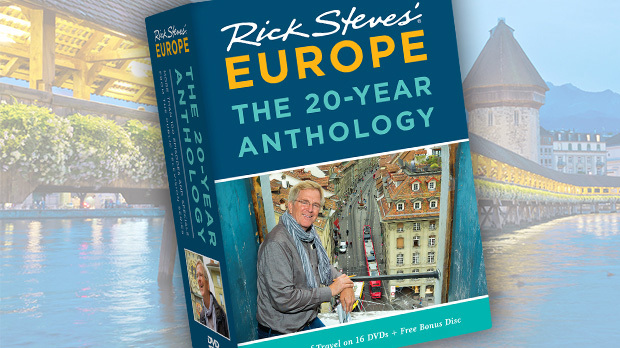 Countless travelers have searched for the elusive "untouristy Rothenburg." There are many contenders (such as Michelstadt, Miltenberg, Bamberg, Bad Windsheim, and Dinkelsbühl), but none holds a candle to the king of medieval German cuteness. Even with crowds, overpriced souvenirs, and a nearly inedible pastry specialty (the over-promoted, fried ball of pie crust called a Schneeball), Rothenburg is still the best. Save time and mileage and be satisfied with the winner. By the way, there are several "Rothenburgs" in Germany. Make sure you plan for Rothenburg ob der Tauber (on the Tauber River); people really do sometimes drive or ride the train to other, nondescript Rothenburgs by accident. 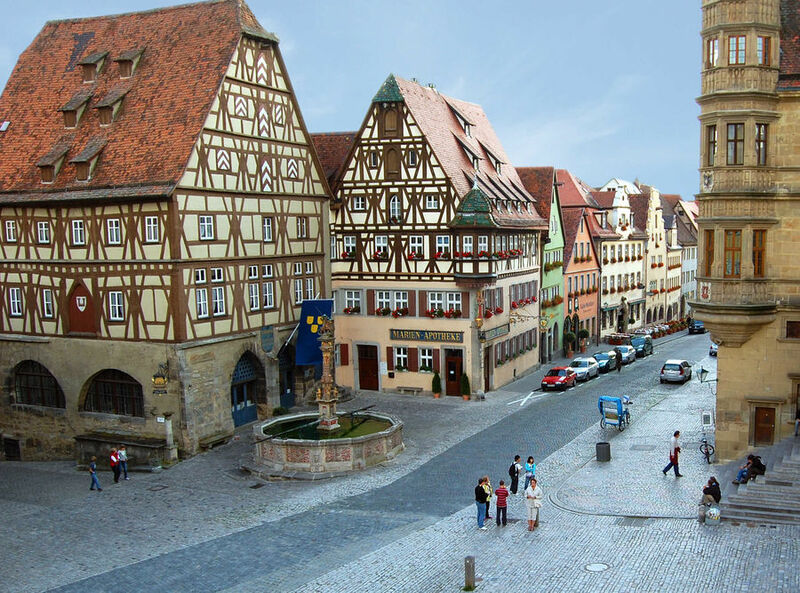 In the Middle Ages, when Berlin and Munich were just wide spots in the road, Rothenburg was Germany's second-largest city, with a whopping population of 6,000. Today, it's the country's most exciting medieval town, enjoying tremendous popularity with tourists without losing its charm. There's a thousand years of history packed between its cobbles. To avoid the hordes of day-trippers, I like to spend the night. While 2.5 million people visit each year, a mere 500,000 book into a hotel room. Rothenburg is mine after dark. In the deserted moonlit streets, the sounds of the Thirty Years' War still echo through turrets and clock towers. A walking tour helps bring the ramparts alive. 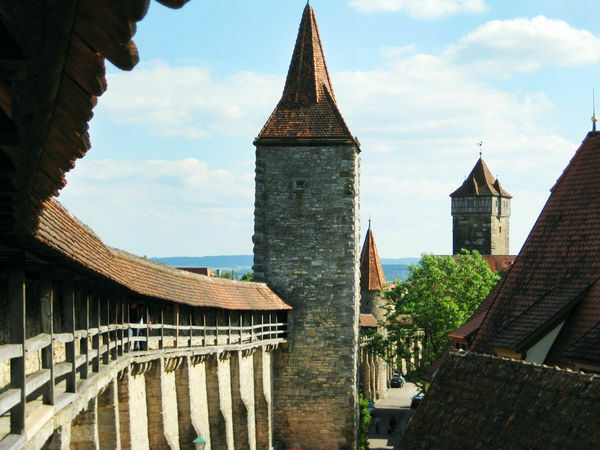 For the serious side of Rothenburg's history, you can take the tour offered by the town's tourist office. But for a thoroughly fun hour of medieval wonderment, take the Night Watchman's Tour. The watchman jokes like a medieval John Cleese as he stokes his lamp and takes tourists on his rounds, all the while telling slice-of-gritty-life tales. Well before the sun sets, climb the Town Hall tower to enjoy the best view of the town and surrounding countryside. For more views, walk the wall that surrounds the old town. This 1.5-mile stroll atop the wall is at its most medieval before breakfast or at sunset, when a rich, warm light bathes the half-timbered houses. Rothenburg's Medieval Crime and Punishment Museum, all explained in English, is full of diabolical instruments of punishment and torture. Some visitors react with horror, others wish for a gift shop. St. Jakob's Church contains the one must-see art treasure in Rothenburg: a glorious 500-year-old altarpiece by Tilman Riemenschneider, the Michelangelo of German woodcarvers. For a closer view of this realistic commotion of Bible scenes, climb the stairs behind the organ. It's Germany's greatest piece of woodcarving. One of the ornament shops has an excellent little German Christmas Museum upstairs. Its unique collection is much more than a ploy to get you to spend more money. 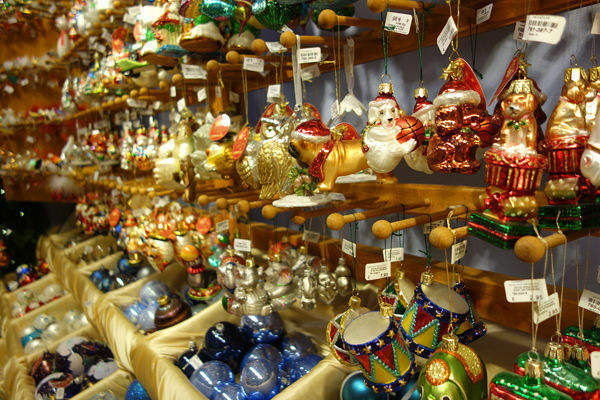 You'll take a look at tree decorations through the ages, Christmas-tree stands, mini-trees sent in boxes to WWI soldiers at the front, early Advent calendars, and old-time Christmas cards, all thoughtfully arranged and described. To hear the birds and smell the cows, take a walk into the Tauber Valley. 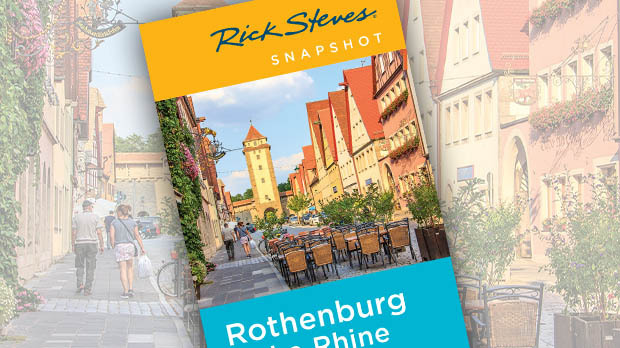 A trail leads downhill from Rothenburg's idyllic castle gardens to a cute, skinny, 600-year-old "castle-ette," the summer home of the town's mayor in the 15th century, Mayor Toppler. While called a castle, the floor plan is more like a four-story tree house. It's intimately furnished and, if you can manage to arrange a visit, well worth a look. From the mayor's getaway, the trail continues downstream along the trout-filled Tauber River to the sleepy village of Detwang. It is actually older than Rothenburg and has a church with another impressive Riemenschneider altarpiece. To see more of the rural countryside (old mills, apple trees, and chickens), rent a bike for a breezy half-day pedal around the river valley. In the night, I'm happy to find myself alone with Rothenburg. The winds of history polish half-timbered gables and blow through the grooves of centuries of horse carts. Sitting in a mossy niche in the town wall, I finger the medieval stonework. Notching my imaginary crossbow, I aim an arrow into the dark forest that surrounds the city. Even now, it feels good to be within these protective walls, where modern-day travelers meet medieval wayfarers.